Looking for a delicious, autumn recipe that’s packed with nutritious veggies? Look no further! 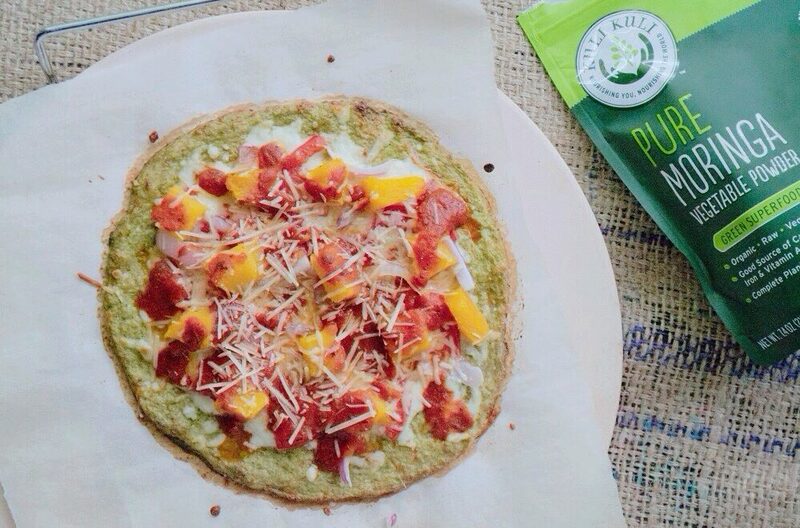 This healthy pizza is not your average slice of ‘za. With a cauliflower crust and veggie toppings, this pizza is vegetarian AND gluten free! Cauliflower pizza crusts are a great way to get more veggies in your diet while also cutting down on carbs! 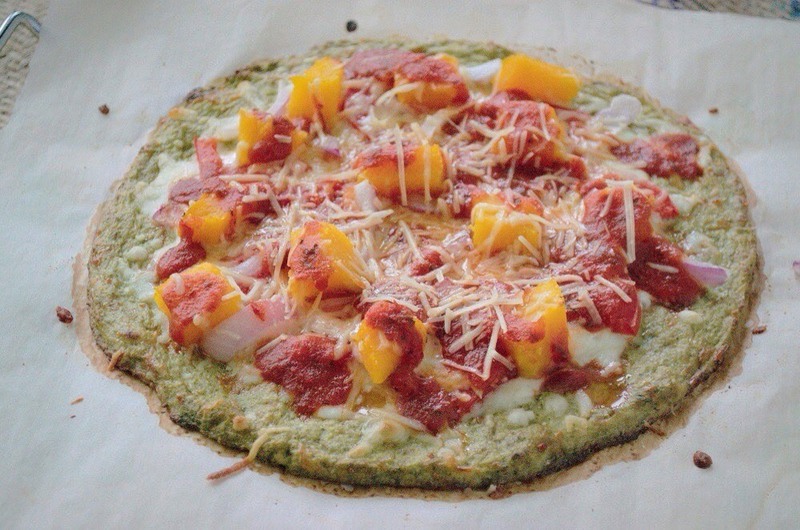 With a little help of moringa powder, this pizza crust is full of vitamins, minerals, fiber, and other nutrients. And did you know that a 1 cup serving of cauliflower contains 73% of your daily Vitamin C?! Perfect for reinforcing your immune system as cold and flu season begins! Butternut squash is a great seasonal produce item during the fall and can be picked up at any local farmer’s market or co-op. Not only is butternut squash healthy, it’s also delicious and makes for a fantastic pizza topping! 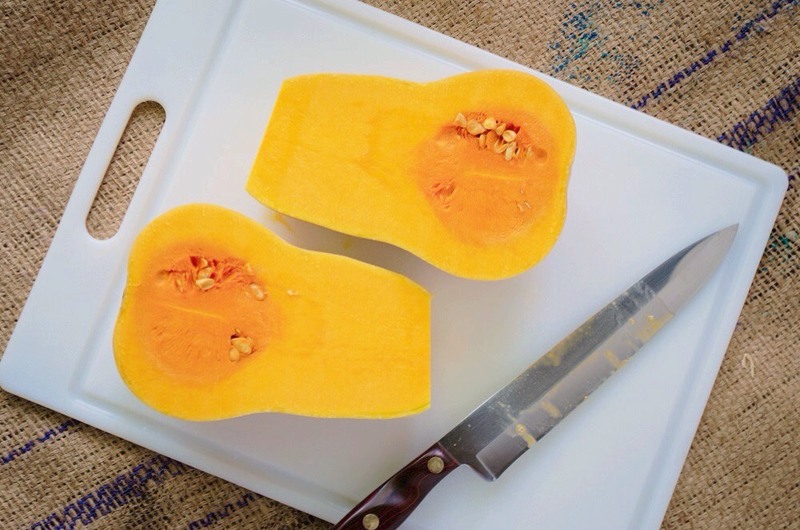 Butternut squash is full of fiber and gets it’s vibrant orange color from it’s carotenoids, which are powerful antioxidants present in other bright natural foods like carrots, sweet potatoes, mangoes, and bell peppers. For this recipe we included seasonal toppings that many people enjoy, but feel free to use whatever toppings suit your tastes and diet! Note: since this recipe calls for pre-cooked squash, try roasting the squash the day before so prep for the pizza goes quicker! The squash can take up to 40 min to cook, so either pre-cook your squash or make sure you give yourself enough time to cook it in addition to making the crust. 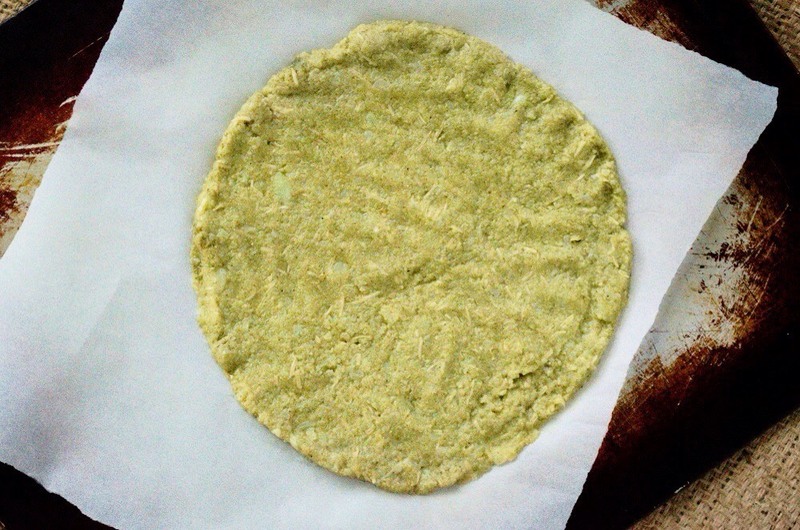 Prepare your cauliflower moringa pizza dough according to our recipe. While the crust is pre-baking in the oven, get out the rest of your ingredients and start slicing your onion and tomato. For the squash, you can either roughly cube it or just scoop out the flesh in chunks! Just make sure they are bite-sized. Once your pizza dough is pre-baked and ready to go, you are all set to top your pizza! Instead of adding the sauce directly to the crust like a conventional pizza, try adding the sauce last! This helps to keep the cauliflower crust from getting soggy and also makes your pizza look artisan-style and creative. What are your favorite fall-seasonal toppings? Let us know in the comments! If you try out this recipe, take a pic and tag #kulikuli and #moringainspired on Instagram! We can’t wait to see what you make!